develop customized solutions that demonstrate the benefits and impact of our recommendations. Also, by utilizing Corporate-Owned Life Insurance (COLI), we help clients recover the costs of their programs. We design customized executive incentive, deferral and bonus plans that align individual interests with business strategies, while effectively accomplishing financial goals. We help businesses and credit unions balance long-term benefit costs with long-term earnings through careful analysis and recommendation of products from top-rated carriers. We offer executive compensation planning, financing, and management services to our clients that balance the needs and achieve the goals of both the employer and the executive. Our compensation consulting services for credit unions and other businesses include salary surveys and peer analysis, estate planning, executive compensation plans, and more. 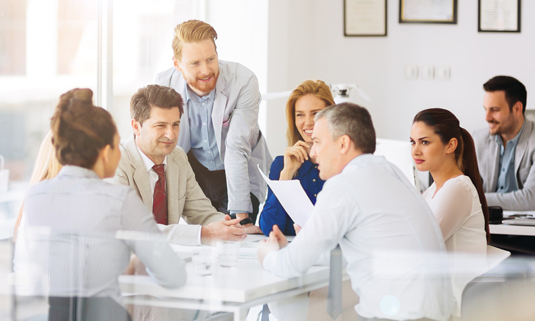 BCC can help you establish the policies, procedures and tax reporting necessary to implement competitive board of director's benefits as well as the insurance products required. We offer comprehensive ongoing plan administration and monitoring services with a “high touch” approach to clients and a top-tier reporting and documentation system. I am very pleased with BCC’s services, and particularly with my sales consultant Maria Kell. BCC presented a very attractive Supplemental Retirement Plan for both me, and for my Board/Credit Union. They also advised me on some changes I could make to my 457f plan to make it more competitive – which was being handled by their competitor at the time. I could not be more pleased with the partnership I have with BCC, and I have since added a Supplemental Retirement Plan for my CFO. My only regret is that I didn’t contact them 8 years ago. Our consultants are the best in the industry with over 20 years of experience working with more than 600 financial institutions in 40 states. If you’re interested in a high degree of personalized service while achieving financial goals, we’d love to hear from you.